Brisant-Secure had a great show at the tenth consecutive LockExpo, right next to the front door, where they were jammed with locksmiths all weekend looking at their 2 Star security handle, Lock Lock. 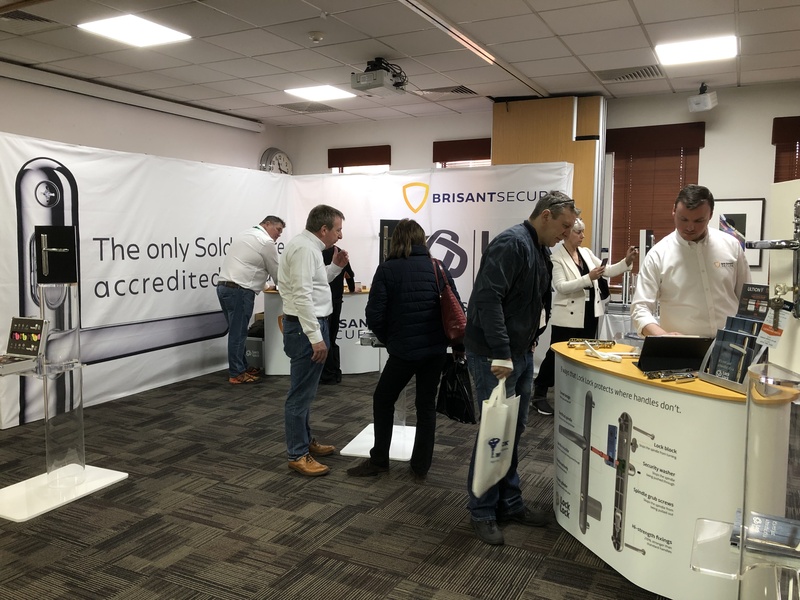 Determined to show locksmiths what this handle can do, Brisant-Secure offered the best show deal to date, and both current and new customers took good advantage of the amazing price offered. There’s a trusted acceptance that once a locksmith has used Lock Lock and seen it in action, they want to use it again. Thanks to everyone that spent time on the LockExpo stand, who had the opportunity to experience the product first hand. LockLock is a secure lock and a beautiful handle in one unit. Bought with a key or without (the keyless version is perfect for doors that you never need to lock on the outside) an internal switch within the handle locks the door spindle. If the spindle can’t turn, the door will not open. At 8,000 hours, Lock Lock lasted for over 30 times the accreditation requirement of 240 in a salt spray chamber. With two layers of copper and two layers of nickel, the registered curved design resists pitting. So why is this the only handle to achieve Sold Secure accreditation? It’s because built within it are nine unique and patented methods of protection. Lock Lock is a non-handed TS007 2 Star handle. Brisant-Secure is so confident of Lock Lock’s performance, it comes with a 10 year direct-to-homeowner guarantee managed directly by Brisant.